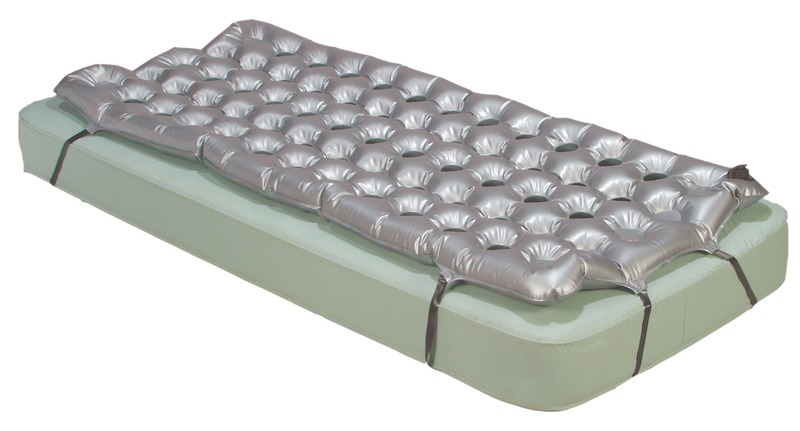 The Air Mattress Overlay Support Surface by Drive Medical's unique construction allows for efficient air flow throughout the mattress for use in the treatment and prevention of pressure ulcers. The air flow holes in the mattress reduce heat and fluid build up ensuring that the affected areas remain well ventilated and dry for proper healing. The adjustable bed straps prevent the mattress from moving and ensuring user safety and comfort.